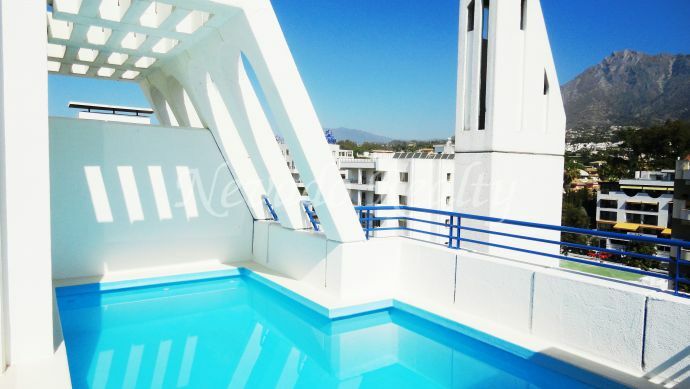 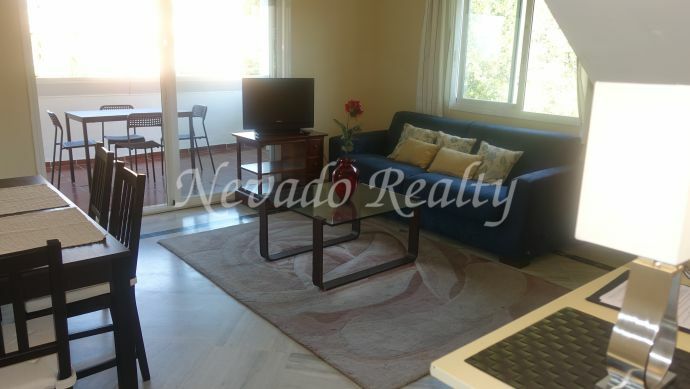 Penthouse on three floors in Marbella House, Marbella centre. 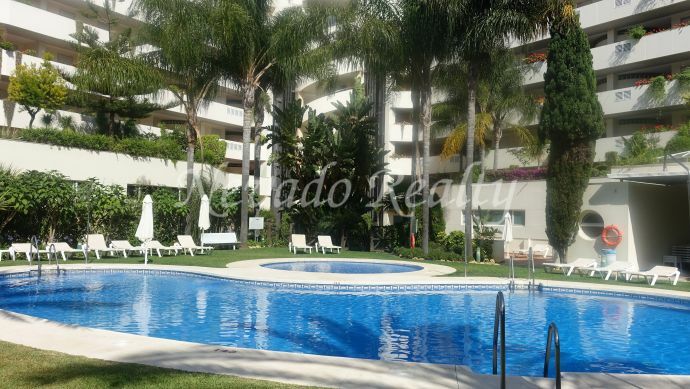 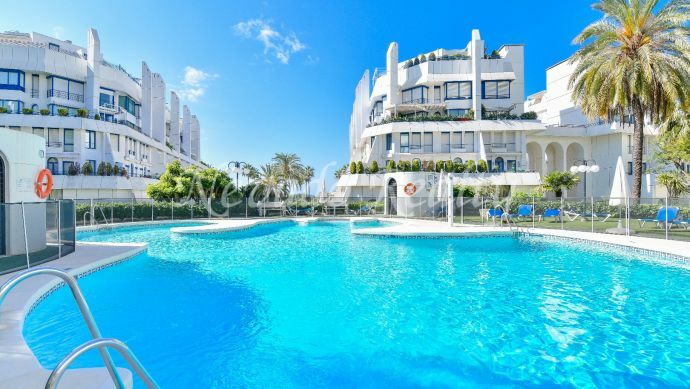 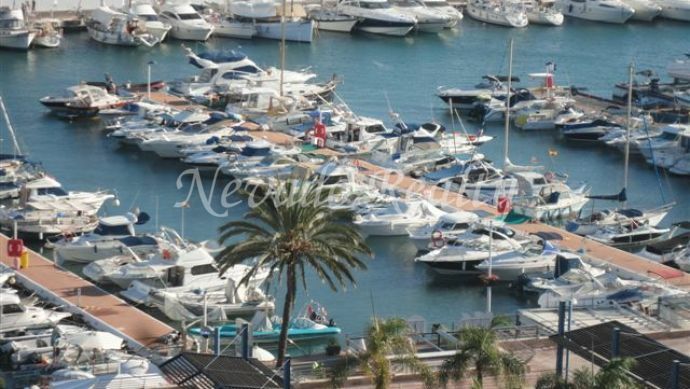 Marbella Centro · Beautiful duplex apartment situated in Marbella town, in a second line beach development. 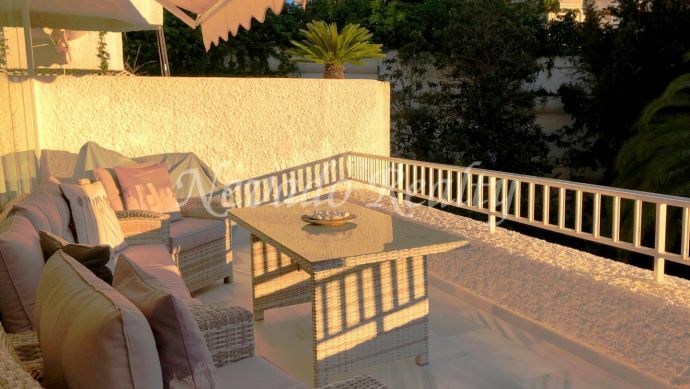 The property comprises fully equipped kitchen, terrace, air conditioning hot-cold, garage, community swimming pool and garden, west facing, sea and mountain views.